The visual reasoning is the process of analyzing visual information and being able to solve problems based upon it. A person's visual reasoning abilities are related to overall intelligence. It is a component of nonverbal intelligence, meaning that a person does not have to use language in order to solve visual problems. It measures fluid intelligence which is your ability to quickly identify patterns, logical rules and trends in new data, identifying causes, integrate this information, and apply it to solve problems. 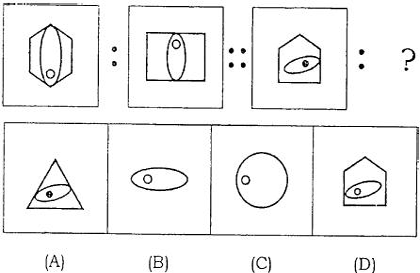 These questions may require the test taker to identify and manipulate visual patterns. They show a set of shapes and ask the test taker to identify what shapes should come next in the pattern. For example, identifying relationships, similarities and differences between shapes and patterns, recognizing visual sequences and relationships between objects and remembering these. Diagrammatic reasoning is used where the ability to cope with complexity and deal with novelty is required rather than relying on previous experience. Capable of efficiently learning new skills. Capable of thinking strategically about problems and developments within the relevant business field. Capable of quickly analyzing new information, integrating it into the overall scheme of things, and applying it to solve work-related problems. Capable of processing and analyzing new work-related data in a logical manner.